Red lipstick to me is like your go-to classy lipstick, it goes with any skin color and any occasion. I’m pretty much a lipstick hoarder, so I can tell you right now that I have several shades of the same color in different lipsticks, but this one has become one of my go-to favorite red lipsticks. I’m not a huge fan of Rihanna but I can’t lie, her partnership with M.A.C cosmetics has just been amazing. From the packaging to the actual product itself, they’re definitely must try products. This particular one is the Viva Glam Rihanna lipstick by M.A.C cosmetics. It is a Blue Red lipstick with a bit of frost in it, but once applied to the lips you can’t really see the frost too much. The great thing about this lipstick besides the amazing packaging (which I will get into in just a bit) is that every cent from your purchase goes towards women, men, and children living with or affected by AIDS/HIV. Being that I lost a family member from this disease it means so much more to me that I can help out by buying something that I am passionate about as well. The packaging is beautiful. It is a red velvety, smooth, soft touch packaging and it contains Rihanna’s actual signature on the inside of the tube. This is a lipstick that I would for sure want to display on my vanity. It is a limited-edition lipstick so if you are interested I would suggest going out and buying it sooner than later! 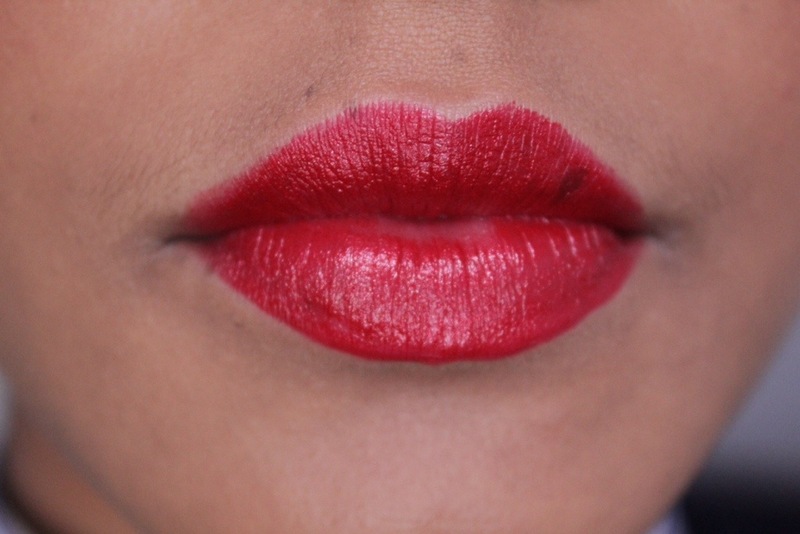 When applying red lipsticks, you always want to use a lip liner. This goes for dark lipsticks in general. My lips especially, tend to bleed a lot when applying dark lipsticks so lining them helps defeat that. 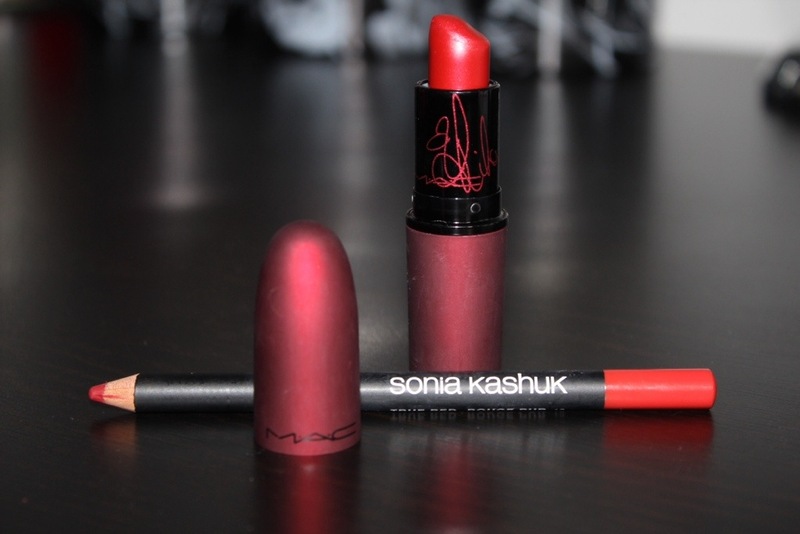 With this lipstick I use my Sonia Kashuk Lip Liner. It is the perfect combination! What is your lip of the moment and what lip products are you wanting to try?